"Every Mac comes with apps for creativity and apps for productivity, it also coimg with a collection of great apps for things you do every day. Your Mac is more than full-featured, it's full loaded." Claiming to be loaded with so many apps, MacBook offers no app for free movie saving for Mac. The world's video streaming service leader, Netflix, Popcorn Time, Showbox and the likes only provide online watching. Google "how to download movies on MacBook", you can find no satisfying answers, except here. There are three ways to save movies to MacBook, read on and choose your favorite one. Millions of movies, fast download speed, that's what MacX Video Converter Pro provides. The program allows you to download free 720p/1080p full HD and 4K/8K movies from YouTube, Dailymotion, Vimeo, Metacafe, moviefone.com, letv.com, and other 1000+ video movie sites. With built-in Intel/Nvidia/AMD HW acceleration tech and High Quality Engine, it saves Bollywood Nollywood Hollywood Disney full-length movies in any resolution and format (MP4, 3GP, AVI, MKV, FLV, WMV, RMVB) at 5X faster speed and original output quality. What's more, it thoughtfully offers you dozens of video editing features (cut, crop, merge, split, rotate, subtitle, special effects, etc.) and video conversion feature to help you customize movies and transcode movies to iPhone iPad Android, game consoles supported MP4, H264, MOV, AVI, HEVC, MP3, ringtone, GIF, etc. supported formats with 420+ preset profiles. It fully supports macOS Mojave, High Sierra/Sierra, El Capitan or earlier. Its Windows version is compatible with Windows 10. And the program has updated to be able to save 4K (3840 X 2160) and 8K UHD movies on Mac without stuttering. Step 1: Free download this multi-purpose movie saver on MacBook and run it. Find the movie you wanna download and open it. Step 2: Copy and paste the URL of the movie, movie trailer, TV shows etc. To the box frame and click "analyze" button. Choose resolution, codec, format and file size. Step 3: Select and destination folder to save movies to MacBook Pro/Air, and click "Download Now" button to start free full movies saving on your MacBook Pro or Air. The site is quite nifty and clean, not brimming with ads, only some pop ups. 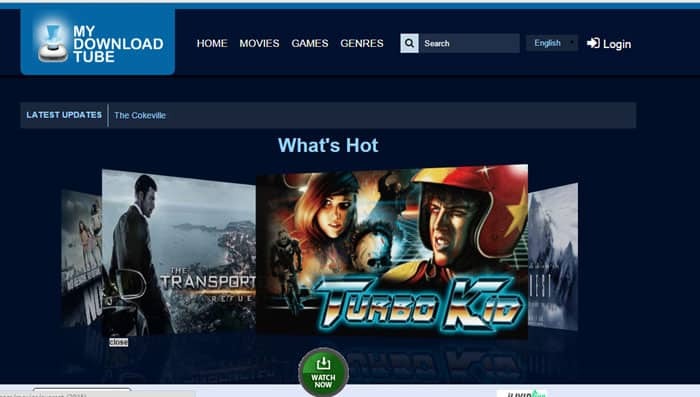 There are some features you will find useful in the free movie sites. For example, there are plenty of genres to choose from, such as comedy, thriller, action, drama, family, adult, etc. The other feature I especially like is that it offers three options, watch trailer, watch online, download. Before you save movies to Android, iPhone, MacBook Pro/Air, iPad, you can watch trailer and decide whether the movie is worth your time to capture. Detailed movie info, like plot, review, rating, file size is provided. To grab full movie on MacBook Pro/Air from this site, you can just choose the movie and click Download button. It takes some time to load the movie and most movies are in SD res, 1080p/4K resolution is not available. DivX Crawler is highly recommended, clean, no poping ups. You can find no places like this where you can find so many movies. It adds new movies daily, you can download new Hollywood movies to MacBook now, like The Jungle Book, The Post, Get Out, Kingsman: The Golden Circle, to name just a few. No sign up, no subscribtion, it is a fantastic site for free movie downloads for MacBook Pro/Air/, iPad, iPhone, iPod, Android. For free users, there's selection limits. Paid members have access to more new blockbusters. The site also offers access to save free Disney movies, Hindi blockbusters and other free films from all over the world. It has great interface and it adds new movies frequently, though not daily. The site is OK to resort to download movies on MacBook Pro/Air. No register required. My hate is that it has plenty of movie links, and most of them lead me to malicious sites. I have to try every possible links to dig out the real one to download the movie on Mac, which is really annoying. BitTorrent I mentioned here means a BitTorrent client. Thanks to simple interface, BitTorrent for Mac is not difficult to get hang of it for novice users. It gives you access to numerous movie video files. The search box brings great convenience to find movie resources. My beef with this solution is that it downloads movies to one folder but leaves a large number of torrent files on desktop. Sometimes, it takes half a day to save a full movie to a Mac, which is unacceptable. How-to guide: find and download torrent files you want to your MacBook Pro/Air, open it on BitTorrent for Mac, and the client will do the left task. Note: The downloads can be a bit slow and unstable. Most movies on MacBook you save from the sites are formatted MKV video format. They recommend VLC media player to watch these MKV movies on Mac, but the fact is VLC won't play MKV HD/4K movies on MacBook. To solve this, you need to convert the MKV video to MP4 or other widely accepted video formats with the movie downloader for Mac, MacX Video Converter Pro, also a stunning video converter mentioned before. You don't need to sacrifice any video quality during the MKV movie conversion process. This guide article will show you how to download HD 1080p video from YouTube, Facebook, Vimeo and other 300+ online sharing sites freely. 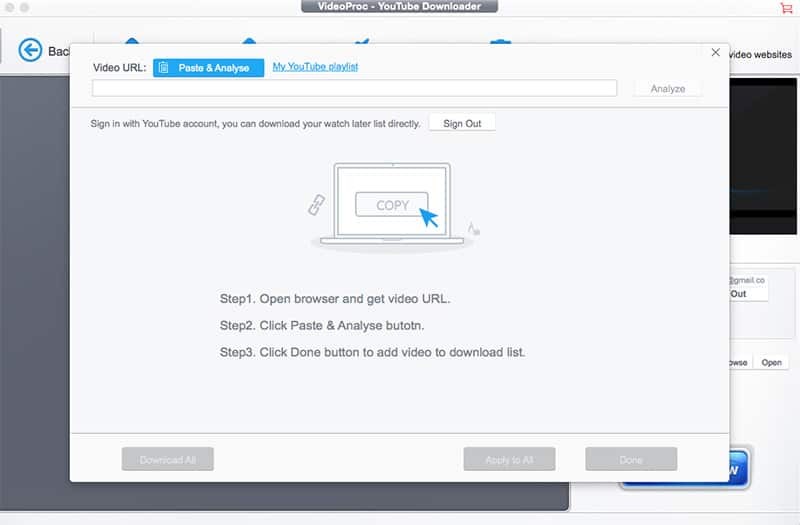 Want a free YouTube video downloading software for macOS? Here is the best software for you to download on your macOS, so that you can save online videos from YouTube and watch them offline on your macBook, iMac and so on. MacX Video Converter Pro is the best online video downloader and converter, which can easily capture online videos and movies from YouTube, Facebook and more and convert them to various formats like MOV, MP4, M4V etc.